This Supply Chain Matters commentary features the final of a series of commentaries that look back and review 2018 Predictions for Industry and Global Supply Chains that were published by our research arm at the beginning of this year. As industry supply chain management teams continue efforts in achieving 2018 final quarter strategic, tactical, and operational line-of-business performance objectives, this is the opportunity for Supply Chain Matters to look back and review our prior 2018 Predictions for Industry and Global Supply Chains. Our research arm, The Ferrari Consulting and Research Group, has published annual predictions since our inception in 2008 and our approach is to view predictions as an important resource for our clients and readers. Thus, we do not view them as a light, one-time exercise. Unlike other industry analyst firms, our predictions for the most part, do not take a perspective of a three to five-year window. Our belief is that industry business and supply chain management process needs are changing rather quickly and that leaders need a more focused view of what needs to be accomplished in a 1 to 2-year timeframe. 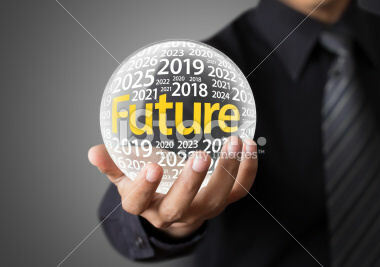 After looking-back at current year predictions, we will transition into the unveiling of our 2019 Predictions beginning in early December. An important part of annualized predictions is assessing what really occurred and why. Thus, every year in November, we look-back and score our predictions for the year. As has been our custom, our scoring process is based on a four-point scale. Four will be the highest score, an indicator that the prediction indeed occurred. One is the lowest score, an indicator of, what-on-earth were we thinking? Ratings in the 2-3 range reflect that we probably identified the right trending, but events turned out differently. Admittedly, our self-rating is subjective, and readers are welcomed to add their own assessment of our individual predictions in feedback comments. In our prior Part One installment, we revisited Predictions One thru Three. In our Part Two installment, we reviewed Predictions Four through Six. In our Part Three commentary, we revisited Predictions Seven through Nine. In this our Part Four commentary, we delve into Prediction Ten which was our umbrella industry-specific predictions. The all-in industry movement toward development and production of far larger numbers of electric and hybrid powered cars and trucks requires stepped-up efforts in comprehensive global strategic sourcing and supply management strategy as well as a longer-term infrastructure readiness strategy. In 2018, the challenge will be global OEM efforts in locking in strategic supply of the battery component value-chain that includes long-term supplies of lithium, cobalt and copper. Further predicted was efforts to influence the epicenter of battery technology advancements and production to be among either China, Japan or the U.S. and Europe. Indeed, there was an all-in industry movement toward positioning for development and production of far larger numbers of electric and hybrid vehicles, including autonomous driving, with the pattern being multi-brand strategic alliances to amortize their expensive multi-year investments with chosen strategic partners. In late 2017, Toyota Motor, announced that it will introduce “more than 10” battery-electric vehicles worldwide by the early 2020’s, amounting to estimated investment of over $13 billion. The initial market target would likely be China, followed by other major geographic regions. Toyota’s strategy will umbrella conventional hybrid-electric vehicles (HEV), plug-in hybrids (PHEV), fully electric vehicles powered by batteries (BEV), and hydrogen fuel cells (FCEV). In June, General Motors and Honda announced a partnership to build next-generation batteries for electric vehicles. GM has plans to deploy at least 20 battery-electric and fuel cell-powered vehicles globally by 2023, including in China and the United States. Nissan and Renault, which operate as an alliance under a shared CEO, announced plans to launch 12 new fully electric vehicles by 2022. The Nissan Leaf, first launched in late 2010, lays claim as the best-selling electric vehicle globally. Global automotive industry leader Volkswagen plans to invest $150 billion over the next five years, earmarked for development of electric cars, self-driving vehicles and digital services. VW’s product manufacturing efforts currently call for 16 electric-vehicle factories globally, by converting existing plants as well as additional capacity in battery manufacturing. As we pen this look-back, VW is in discussions with Ford Motor regarding an alliance for producing light electrified light trucks as well as self-driving vehicles. As for where the epicenter of battery technology will reside, that is still ongoing and snarled in global trade tensions, especially among China and the United States. This specific strategy remains the most crucial for the industry and all of its stakeholders. Our prediction was that if NAFTA 2.0 trade talks collapse in 2018, automotive supply chains will experience meaningful impacts as to product margins and longer-term production sourcing strategies. As noted in assessment of Prediction Six focused on global trade, NAFTA negotiations eventually gained a tentative tri-lateral agreement in late September, but ratification among all three countries still remains for 2019. With a Democratic Party sweep of the U.S. House of Representatives, 2019 ratification of the new USMCA trade agreement is not a slam dunk without additional debate and possible iterations. That will certainly include automotive and truck industry interests since that are the most impacted by this new agreement. Thus, this prediction now shifts to 2019. We predicted that Tesla will likely experience additional challenges in ramping-up Model 3 production volumes motivating the need for bolder production and supply chain capability moves or loss of competitive advantage. Chinese or European start-up disruptors will challenge Tesla for consumer mindshare, but General Motors and/or Toyota will leverage existing global supply chains and production capacity to gain market and mindshare advantage. Tesla indeed remain challenged for most of the year while managing to finally reach the 5000 per week Model 3 production milestone in Q4 and inking an overall operating profit as-well. That stated, it took herculean and expensive overtime to achieve its Q4 milestones and Tesla still needs to demonstrate consistency in scaling volume output. The company has also encountered a lot of management exits and turnover during the year, and in 2019, CEO Elon Musk’s is under SEC mandate to share leadership of Tesla with a separate independent Executive Chairperson. General Motors and Toyota indeed leveraged existing global supply chains and production capacity to attempt to gain market and mindshare advantage but fell short in 2018. The Tesla brand and experience remains iconic, That stated, 2019 will provide added opportunities, especially if Tesla runs into reliability challenges with its in-service vehicles. For the first time, Consumer Reports Magazine downgraded its ranking of two Tesla models because of reported owner reliability incidents. Our 2018 prediction was that commercial aerospace supply chains will likely run into more potholes in plans to scale-up production levels and satisfy investor interests for greater short-term returns. Like 2017, select aircraft engine producers will be the critical weak-link dependency in accelerating production cadence with GE Aerospace, Pratt and Rolls Royce being suppliers to watch. Industry supply chains may require some altered component sourcing depending on the clarity and progress of ongoing Brexit trade negotiation in 2018. M&A among key industry component supplier community will likely continue in 2018 as will efforts pitting global OEM’s Airbus and Boeing against key suppliers in controlling the aftermarket services and repair parts market segment. Airbus will tackle a special challenge in that many key senior executive leaders have announced their exit in the next two years with senior leadership continuity of new product development and ongoing supply chain scale-up strategies being an important consideration. With Airbus as a new strategic partner, the Bombardier C-Series aircraft will secure additional order volumes. Both Airbus and Boeing incurred significant challenges in the planned supply of completed aircraft engines from both CFM International and Pratt & Whitney. Other component shortages added to the challenge, leading to upwards of 100 semi-completed aircraft having to be parked at factory adjacent runways awaiting delivery of completed engines in components. In Q2, Airbus’s delivery performance for the first-half of 2018 was tracking to but 39 percent of its stated 2018 year-end delivery goal of 800 delivered aircraft, calling into question whether the goal will be achieved. The aerospace manufacturer operationalized a fourth narrow-aisle family final assembly line in Hamburg in mid-June. That facility was described as more flexible and includes the use of termed mobile tooling platform (MTP) that transports major aircraft sub-components with the assembly facility. In early October, Airbus announced that Guillaume Faury will take over as the aerospace manufacturer’s next chief executive in April of 2019. Current CEO Tom Enders had previously indicated that he would not seek a renewal of his CEO contract. Faury had taken over leadership of the Commercial Aircraft business in February after a prior five-year stint for overseeing Airbus’s helicopter business unit. Airbus was able to marshal its global sales teams to secure additional orders for the acquired Bombardier C-Series aircraft which were rebranded to the Airbus 200 series aircraft. In November this aircraft series embarked on a world demonstration tour consisting of five cities tour among four countries. The order book of stood at over 400 aircraft in November while production facilities in the United States were being configured for delivery to at least two U.S. based airlines. In early September, reports surfaced regarding a growing number of partially completed parked aircraft surrounding Boeing’s Seattle production facilities due to either engine or aircraft component shortages. July deliveries for 737 family single-aisle aircraft were a mere 29 and later recovered to 46 deliveries in August and 55 in September. Thus, Boeing was able to respond very quickly to the disruption. While we predicted additional significant M&A activity among the industry component supplier segment, activity was rather muted during the year and compared to 2017. We predicted that the online direct-to-consumer distribution model would explode with added emphasis on fresh food and consumer products direct distribution. Such efforts would directly impact existing logistics and distribution strategies. We further pointed to continued M&A among major CPG, Food and Beverage manufacturers, perhaps one or two major acquisitions involving global brands adding more disruption to respective impacted supply chains. Walmart and Amazon will continue as tough price negotiators resulting in aggressive industry-wide price competition. Suppliers will walk a fine line in balancing cost vs. volume output strategy needs. The online direct-to-consumer model has indeed exploded with 2018 holiday fulfillment sales expected to grow 15 percent to over $124 billion. In the food sector, competition is pitting Amazon and Whole Foods with Kroger, Target, Walmart and other food retailers. The big test comes in the coming weeks with the holiday fulfillment surge. All of these retailers have made considerable investments in process automation, systems and added people where required. In some cases, consumes will have up to a dozen various fulfillment options. Retailers such as Target that depend solely on online fulfillment directly from physical stores will face yet another volume and expense test. This exploding online growth is not solely centered on the U.S., with China and portions of the Eurozone countries also about to have their tests. Thus, we have to defer our self-rating for this prediction until early 2019. On the M&A front, the most significant news was Kroger’s strategic investment in UK. Based food warehouse and customer fulfillment provider Ocada in May 2018. Campbell’s encountered financial performance challenges and as we pen this assessment, the food company’s private equity interests are attempting to have a new strategic plan involving shedding some prior acquired business adopted by a majority of shareholders. We predicted that Amazon’s multi-faceted strategy leaps will likely stumble due to the managing of too many market disruption thrusts, while others gain some traction in online customer fulfillment and execution. Cost affordable real-estate becomes a bigger challenge leading to further consideration of contracted or 3PL outsourcing in online fulfillment. We are also deferring our self-rating for this prediction because the critical fulfillment quarter is yet to be completed. We predicted that all eyes will be on Apple, and on the product management and supply chain network efforts to scale-up production levels of the iPhone X and iPhone 8. Similarly, what Apple elects to do when the company re-patriots its vast sums of cash parked in foreign accounts, and whether that implies added stock buybacks, significant added value-chain investment or a major acquisition or entirely new product entry will be areas that the industry will monitor closely. If in 2018 trade relations involving the U.S. and China result in punitive tariff and other trade actions, high-tech and consumer electronics supply chains will experience meaningful impacts. Apple was generally successful in scaling-up both iPhone X and iPhone 8 production levels starting in the final quarter of 2017, but the consumer electronics giant did miss some market opportunity with the former during the holiday fulfillment surge period. Regarding the repatriating of its vast sums of foreign-resident cash, it appears that the bulk was allocated to shareholder dividends and stock buybacks. Little was incrementally invested in in added value-chain capabilities including an augmented manufacturing presence in countries outside of China, including the United States. Any new product innovation was generally directed to the iPhone and Mac product areas, all of which designed to garner additional premium price increases. There was no entirely new product dimension, such as autonomous driving software or electric-powered vehicles This month, the company’s stock has been trended downward over investor fears that reliance is being placed in the smartphone segment where unit volumes may be declining. With the escalating trade tensions including back and forth punitive tariffs involving China and the United States, High-tech and consumer electronics supply chains are indeed experiencing meaningful impacts with high profile component shortages, significantly higher landed costs and open questions relative to alternative sourcing outside of China. If another threatened round of tariffs occurs in 2019, industry supply networks will be more severely impacted including the full consumer electronics sector. This concludes Part Four and our full look-back self-evaluation of our series of 2018 Predictions for Industry and Global Supply Chains. We remain actively in the process of researching and completing the formulation of our 2019 predictions while will be initially unveiled in mid-December with detailed deep-dives scheduled into January 2019. Once again, if readers and specific technology and services providers wish to contribute their thoughts relative to what to expect in 2019, please insure that you contact us no later than November 30. Again, please utilize the email address; feedback <at> supply-chain-matters <dot> com to contact us with your inputs. Finally- send us any of your reader feedback on this year’s predictions. Was the year what you or your organization expected or did we miss some other rather important opportunities or distractions that occurred?